Eight years ago, good friends George Skandalos and Carly Lilly opened Sangria Grille, a fusion restaurant in Moscow that uses Northwest ingredients with a Peruvian perspective, while also incorporating Spanish, Chinese and Italian influences. The result is a menu that has kept business thriving, while so many others have come and gone. To open our meals, my guest and I enjoyed exquisite halibut ceviche ($9) with lime, habanero, garlic, cancha, sweet potato and sarza criolla, a traditional Peruvian salsa with red onions and cilantro. The result is magic in the mouth: The sweet potato balanced the heat from the habanero, and the fish was tender and tasty in the face of so many other strong flavors. For my entrée, I ordered a criolla burger ($11) topped with fried sweet potatoes and more of the salsa, better condiments than you’ll find just about anywhere. My guest noshed on steak saltado ($13) made with caramelized red onions, tomatoes, cilantro, scallions, soy sauce, white rice, and — believe it or not — French fries. My taste of the sumptuous food on her plate left me wanting a plate all my own. The restaurant offers six vegetarian entrées, including a meatless version of saltado ($12) and spinach basil pesto pasta ($14). 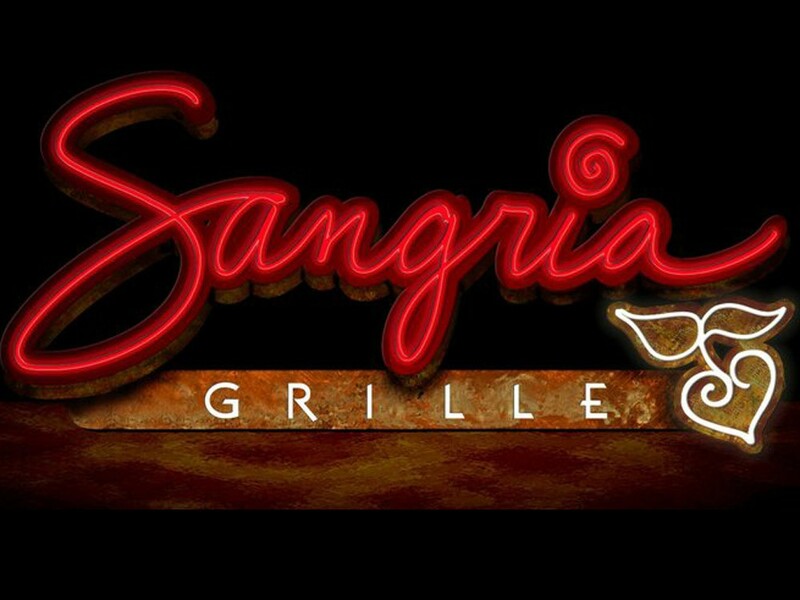 Sangria Grille also caters to people with dietary restrictions: There are 37 items on the menu that can be prepared gluten-free. The story of the food at Sangria Grille goes beyond the first bite. Skandalos says that reducing the distance from farm to table is important. They purchase eggs laid by local hens, and much of their beef comes from locally grown, grass-fed Longhorn cattle. He adds that they work closely with the Moscow Urban Farm Company and Daystar Farms to grow, amongst other things, specialty greens, salad lettuces and Peruvian chilies. Skandalos is proud of the eclectic traditions and roots of Peruvian food.